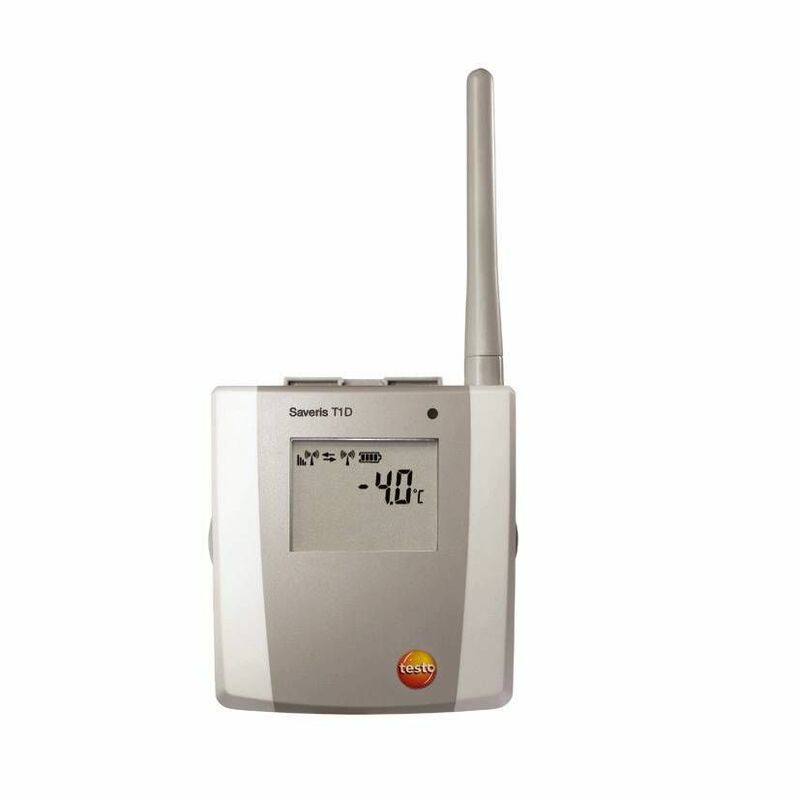 testo Saveris T1 D - 1-channel temperature radio probe, with display | Monitoramento da temperatura - Farma | Monitoramento da temperatura | Armazenamento e transporte - Armazenamento | Armazenamento e transporte | Aplicações | Instrumentos Testo S.A. The testo Saveris T1 D radio probe is equipped with an internal temperature sensor. It is EN 12830-compliant and is therefore ideal for monitoring temperatures in the food industry. Its high IP protection rating means that it can be used even in extremely harsh environments. The T1 D radio probe is also equipped with a display, showing the current measurement data, battery status, limit value violations and quality of the radio link. testo Saveris T1 D radio probe with internal NTC and display, radio frequency 868 MHz including wall bracket, calibration protocol and 4 × AA alkaline manganese batteries.